2005 – 2006 – After many years, Will becomes curious about the earliest recorded music of the group, and the circumstances that precluded the group from ever releasing a proper album. One of the original members sends Will a cassette dub of the material from the very first version of Stick Against Stone, and mesmerized by their manic energy and John’s powerful voice – he starts to ask questions about John and those early days. Starting a Yahoo Group to start discussions about the early ‘80s Pittsburgh music scene unleashes a torrent of comments from the scattered diaspora of that underground scene, culminating in a “punk reunion” (RePunk 1) back in Pittsburgh in August 2006. 2008 – Will decides a documentary film is the only way that this story can be told, and taking the plunge – buys an HD camera and finds director of photography Chris Schuessler on Craigslist to start interviewing people. 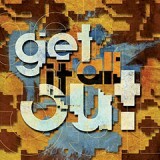 “Get It All Out” is chosen the title of the doc, named after an unreleased studio recording that was John Creighton’s last with Stick Against Stone. Traveling to Pittsburgh, Lancaster, PA, Minneapolis, Tampa, Los Angeles, San Francisco and Oregon to talk to former bandmates and friends – the interviews start to piece together the missing elements of how it all happened and what kind of person John was back then. Encouraged by the positive response and heartfelt stories about John, Will meets up with Richard in San Francisco & Oakland to talk. August 2009 – Working with original sax player Bob Wenzel (now in his 60s) – Will places an ad on Craigslist NYC to find musicians to record 2 of the bands more interesting songs from the first incarnation of the band: “Elephants” and “It’s.” Answering the ad is Ben Rubin, a jazz-trained bassist with a diverse range of styles and influences. Ben works with Will to locate additional musicians to take part in the project, including drummer Tony Mason, percussionist Yusuke Yamamoto and saxophonist Michael Blake – a former member of John Lurie’s Lounge Lizards. Encouraged by the remarkable performances, and hearing this music played live for the first time in decades – a window of possibilities begins to open. June 2010 – After many emails and phone calls, Will and Richard meet in New York to discuss the nature of the project. Will offers to act as a “consultant” (not a manager) to him – in an effort to make a better documentary, with hopes that the music will once again live in the world. Over a sushi meal after attending a Tony Allen concert in Stuyvesant Town park, Richard signs a consulting agreement. Plans are set for a recording session in NYC in early July. July 2010 – Knowing that a drummer can’t very well practice or start a new version of Stick Against Stone without a drum set, Will finds a cheap set on Craigslist for Richard to use. With one week to go until the recording session, Will and the documentary team take a late night cab ride with the drums from Manhattan over to Brooklyn, where Richard is staying (once again) in Bed-Stuy – this time with his keyboard-playing friend Rudi Mwongozi. During one of the hottest weeks of the year, with temps in the high ‘90s and cresting 100 degrees in an apartment with no air conditioning – Richard is delighted to see the drums and the team films Richard playing the slightly used trap set with the glee of a kid in a candy store. Four days later, Will and the doc team are waiting a downtown Manhattan recording studio on a Sunday AM, waiting for Richard to show up. Unfortunately, Richard doesn’t show up. Will calls Rudi’s cell # to see if he’s seen Richard, and not having stayed at the apartment that night – he’s uncertain as to Richard’s whereabouts. That afternoon, Rudi calls Will with the news that he has found Richard dead in their apartment. What is revealed is that Richard has had 2 severe brain seizure episodes earlier that week in the apartment (the second, the Saturday before the session) – and Richard’s denial of the need for anti-seizure medicine (his prescription had ran out prior to arriving in NYC- and he never refilled it) – along with the high temperatures – have combined to bring on a massive seizure on Sunday, July 11th, 2010 that took his life. October 2010 – Wondering for months what to do next about the documentary and the music, Will sees a concert at Brooklyn Academy of Music (BAM) of a large, expanded rock band and realizes that the music of Stick Against Stone could and should be performed live again – only this time by a larger group. With Richard’s words “This music was meant to be played live” echoing in his ears, spoken just days before his death – Will sets out to find a music director to do just that. Through a friend of Loser’s Lounge (the downtown NYC tribute band that has been covering the stars of the American Pop Songbook since 1994), Will meets guitarist David Terhune – one of the founding members. Over a lunch meeting, David shares that he’s intrigued by the music and the band’s story and is willing to give it a shot. 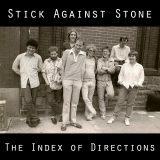 January 2011 – 30 years after the band’s founding in Pittsburgh, at a rehearsal space in the Lower East Side, 8 musicians gather to start the process of rehearsals for the Stick Against Stone Orchestra, with the goal of bringing the songs back to the stage for the first time in decades. Soon joined by original baritone/soprano sax player Bob Wenzel (commuting from Pennsylvania), the group works on a 16 songs set list, week by week. Spring 2011 – The Stick Against Stone Orchestra swells to nearly a dozen players. Drums, bass, 2 percussionists, 2 guitarists, 2 vocalists, keyboards and 3 horn players – it’s a lot to manage – with schedules and timing never easy to coordinate. But as the songs are re-animated and start to take shape – the enthusiasm for the project stays high. Gigs are set – the first at Sullivan Hall in Manhattan’s Greenwich Village on June 8th, and the second – a free show at Herbert Von King Park – right back in Bed Stuy, Brooklyn – on July 9th. Summer 2011 – The shows take place, and while the crowds are small – seven of the surviving members of the band (including 5 from the original line-up of the 7 from 1981) are present for the outdoor gig at Herbert Von King Park. Both shows are filmed for the doc, as well as a roundtable discussion with all the members at brunch the next day. Knowing that the songs and the energy gathered together to pull-off the rehearsals and shows won’t last forever, Will quickly books a recording studio in Brooklyn and starts building the basic tracks for a 12 song SAS Orchestra album. Fall 2011 – Spring 2012 – Month by month, more tracks are added to the album and the songs begin to take shape – not as rehearsal versions, nor slavish mimicking of the original cassette recordings – but as a blend of the spirit of the old, with the freedom of the new. A new prototype, a blueprint for the future – as part of the soundtrack for the documentary and as a calling-card to take to NYC area clubs and regional festivals and see if this ensemble can get gigs. 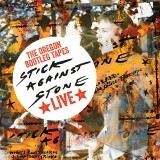 Summer/Fall 2012 – A street date of January 22th, 2013 is set for the release of the Stick Against Stone Orchestra album, “Get It All Out” – sharing the same name as the documentary. Winter/Spring 2013 – The Orchestra scores a gig at Joe’s Pub in downtown NYC, and on January 29th, 2013 – with 11 people on stage – the music that “…was meant to be played…” is live once again. After the SAS Orchestra played in January 2013, attention returned to the later versions of the group. “Later” – as in, from the Eugene and San Francisco period of 1984 – 1990. In those 6 years, a lot of great music was made – but never really released – with the exception of that 4 song cassette demo in 1985. What happened next was totally unexpected. In the summer of 2013, a live recording from the Eugene Saturday Market in 1985 was stripped off a VHS-HiFi recording and to everyone’s surprise, it was actually pretty good. Such was the surprising audio quality of VHS-HiFi – which by today’s standards is “CD quality” – with a broad frequency range. By October, that recording was taken to Grand Street Recording in Brooklyn for editing and audio clean-up. 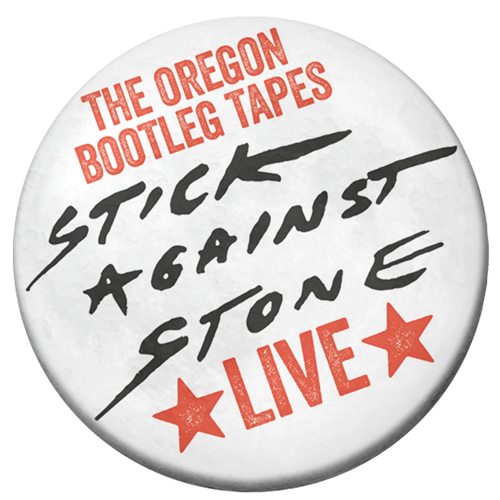 Once that was completed, the album – “THE OREGON BOOTLEG TAPES – LIVE” was pressed and released in May 2014. The critical acclaim took everyone by surprise. 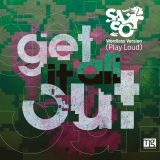 Positive reviews came in from New York Magazine, Pitchfork, Vibe, Pop Matters, Wax Poetics – even Robert Christgau (now at CuePoint). Enough so that the band’s Wikipedia page could be created and not get deleted – as true notability had been attained. With the success of The Oregon Bootleg Tapes, the time had come to finish the 2007 sessions (as mentioned above) – and so “INSTANT” comes to life. In the spring of 2015, Will travels to Greensboro again to visit guitarist Daniel Ramirez. Dan was fighting kidney cancer at the time – and when they visited, it was in remission. That September, Dan took an 13 hour train trip (each way) from Greensboro to NYC to rehearse with Sari & Will in a new performing version of Stick Against Stone. Unfortunately, the cancer had already spread to much of his body, and a sense of urgency arose in wanting to get the album out. 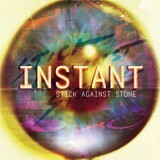 On November 6th, 2015 – “INSTANT” was released. A week later, on November 13th – Daniel Ramirez passed away. After Dan’s death, the shock over the long winter was strong – but soldiering on – Sari and Will found time to rehearse in February 2016 and again in the spring with a new guitar player, bassist, drummer and horns. 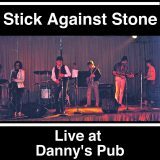 By June, they played their first gig as Stick Against Stone in NYC (not as the SAS Orchestra) since the summer of 1983 at The Rock Shop in Brooklyn. A second show happened in August at Rockwood Music Hall. During the summer of 2016 – working with Tobi Kirsch of Passionate PR in Berlin, and the team at Broken Silence in Hamburg, the album INSTANT is pressed again as a CD in Germany and a campaign for media attention begins in overseas. Positive reviews come in from the German music press (see our Press page).